I founded this charity in 2013 to help fight homelessness and poverty across the UK. I'm still its Chairman. One of the great things about this charity's work is that it connects executives from across Britain with the causes and effects of homelessness in their local community. As of the end of 2018 this charity has raised well over £1,800,000 and around 2,100 CEOs and senior executives have joined the fight against poverty and homelessness. I founded this charity in 2012 with the aim of encouraging businesses to support their community and boost social cohesion. 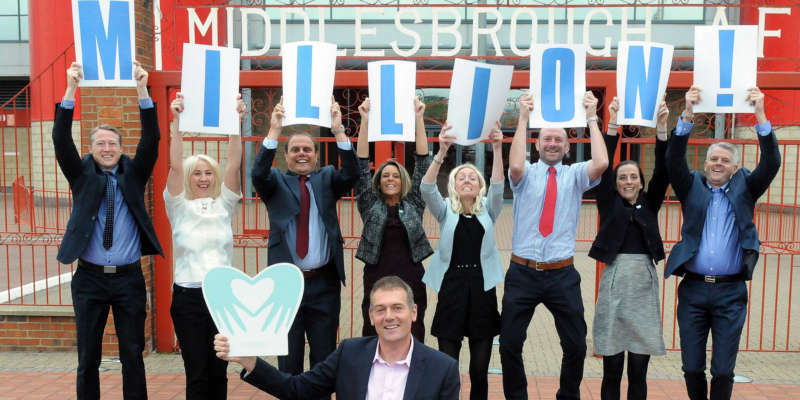 I still chair the charity and to date we've raised almost £3m for the benefit of community groups and charities across Teesside with particular focus on those in hardship. At the end of 2016 CEO Sleepout launched a not-for-profit Middlesbrough restaurant called The Fork in the Road. This high end restaurant employ some staff who are in recovery, ex-offenders or from other groups who find it hard to get a new chance. Related to The Fork is a zero alcohol venue called Bar Zero. This profit making enterprise is a new kind of office environment is spreading across the world. In the UK the cities of London and Manchester are seeing massive growth in beautifully designed, fun worskspaces that bring out the very best in businesses and individuals. With a business partner I've created Level Q offices which offers facilities to rival anywhere in the UK. The first phases of Level Q is happening in Teesside beside the A66 and more locations are planned soon. My goal is to roll out the brand in other cities that wouldn't otherwise get a chance of hosting such prestigious offices. I invest in range of businesses. I have a hands-on role with some of these businesses, while I’ve simply invested money into others. I’m always looking for new opportunities, so do get in touch if you have a business you think I might be interested in. Follow me on the Andy Preston Facebook page.